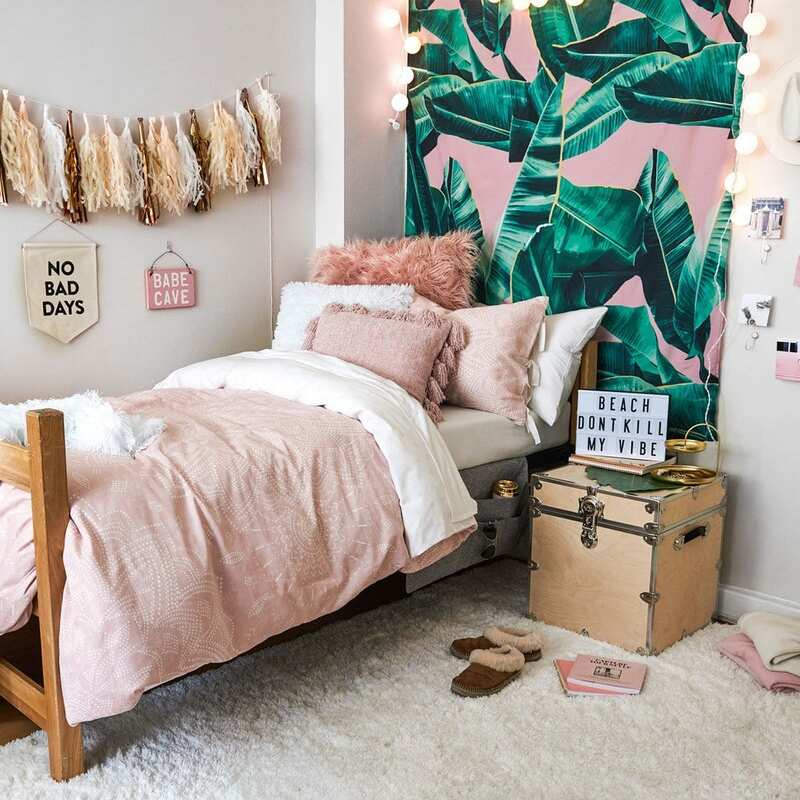 We’ve received quite a few requests lately from this year’s incoming freshmen wanting to know how to decorate a dorm room and where to find stylish dorm bedding. The great news is: it’s so easy to make your dorm room fabulous. 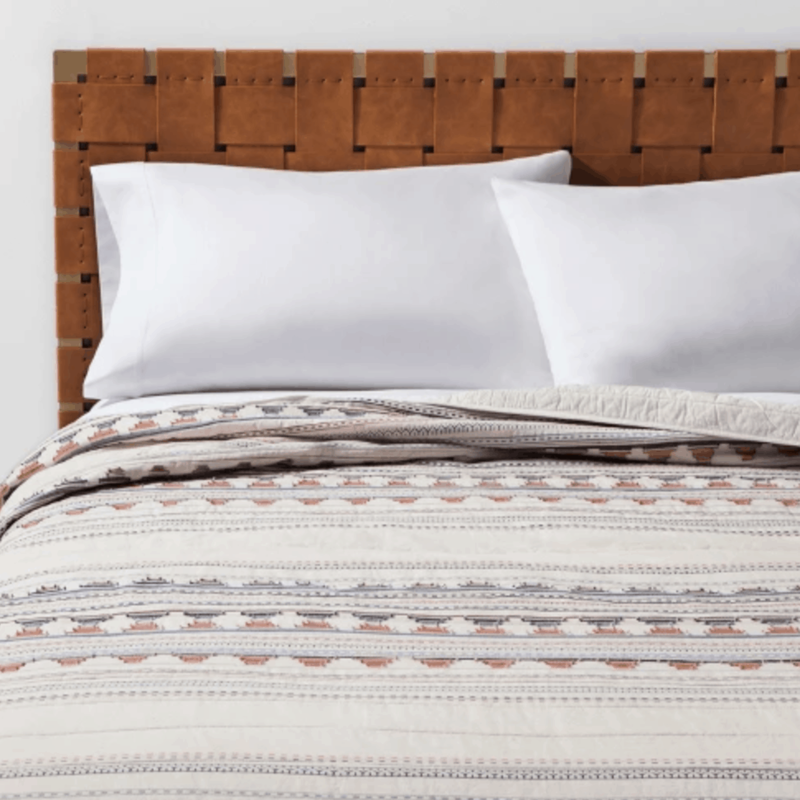 Today, we’re going to show you how to decorate your dorm room, starting with your bedding (and we’ll move on to the rest of your dorm room checklist next). One quick thing to note: college is THE time to go crazy with your room decorations. 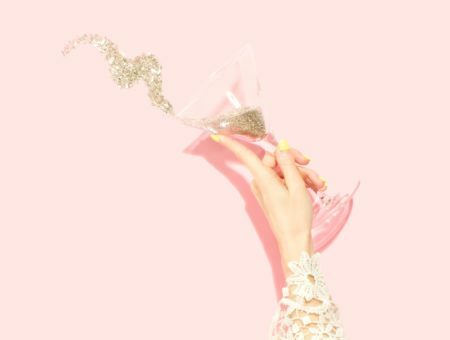 Once you’re living in the adult world, it will no longer be as acceptable to have a hot-pink bed, purple retro mini fridge, and strings of Christmas lights hanging everywhere in your apartment. For now, feel free to express your personality in your room – you can go for the “adult” look later! Get extra-long twin sheets. That’s the number one rule for dorm room bedding, which they probably tell you at orientation. But seriously; take note. Normal twin size sheets won’t fit most dorm beds, so you need to get XL-Twin. Don’t get white bedding. In college, your dorm room is where you spend most of your time – whether it’s studying, pre-gaming, hanging out with friends, or even eating. Since there isn’t much room for chairs in the typical dorm, your bed is going to be like a couch most of the time. Therefore, if you get white bedding, it will probably be stained/ruined by the end of the semester. 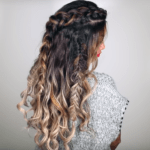 Go for darker colors unless you’re very, very neat. Buy a few sets of sheets. 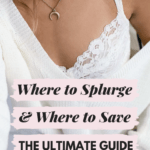 You aren’t going to feel like doing laundry more often than every two weeks, and if you only have one set of sheets, they’re going to get grungy. Oh, and message to the guys: you need to wash your sheets more than once a year! (Ideally you should change them weekly.) If you’re lazy, get a few sheet sets and swap them out regularly. Buy a mattress pad. Trust me – the mattress your dorm room comes with is going to be hard as a rock! Get a good mattress pad (memory foam is amazing but can be pricey; egg crate pads are another decent option) and your back will thank you! 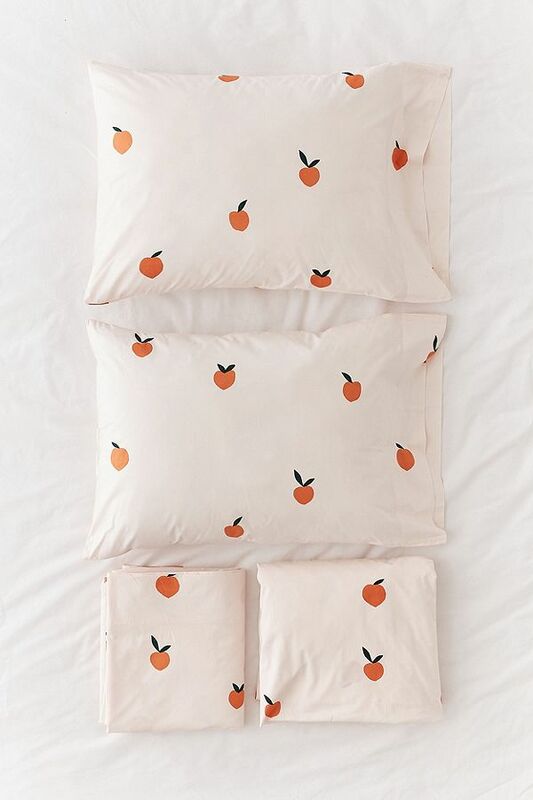 Now that the basics are out of the way, on to the fun stuff – picking out cute bedding for your dorm room! 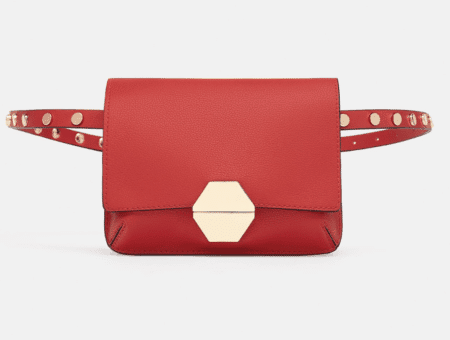 There are so many cute options for any budget and personal style. 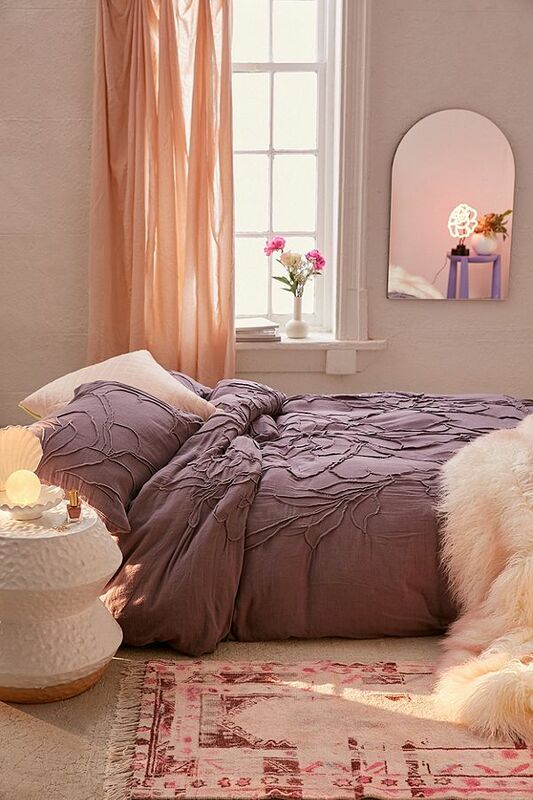 If you’ve got a passion for purple, this duvet cover from Urban Outfitters is made for you. This delicate 3D floral pattern is more unique than your average printed duvet and we pretty much guarantee your roomie will be envious. Who knew Lucky Brand made sheets? 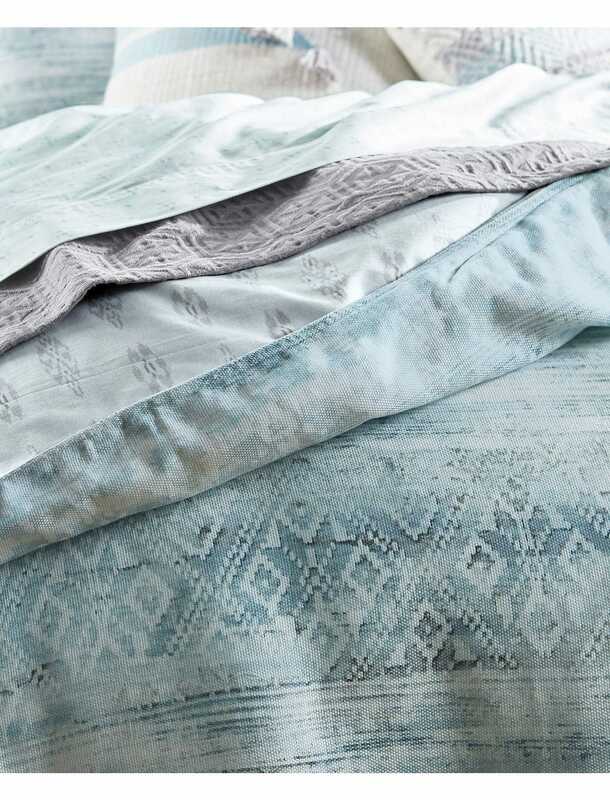 This swoon-worthy set comes in ocean blue with a muted ikat pattern; perfect for creating a relaxed ocean oasis vibe in your space. Do you really need to look any further for dorm bedding? 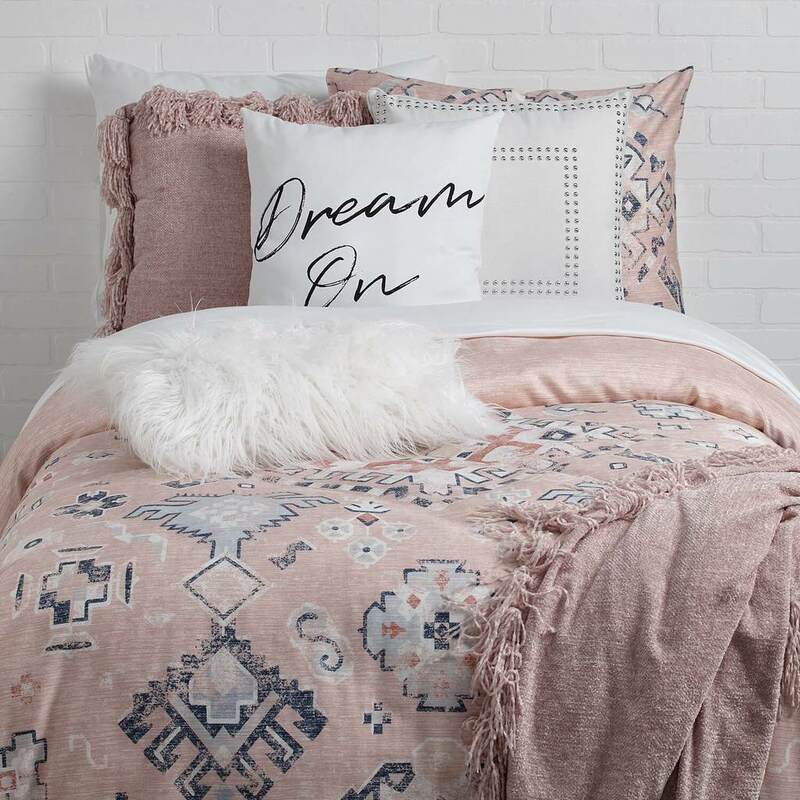 This dusty rose comforter and sham set is super stylish. Plus, between the cream, navy, burnt orange, and light blue colors in the pattern, there are endless pillow possibilities. 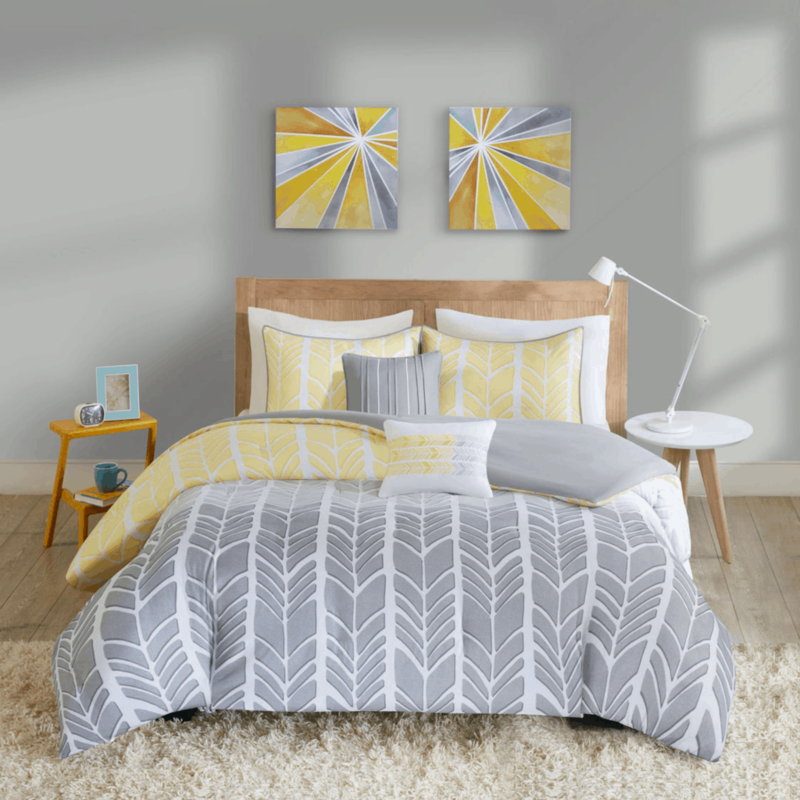 We never met a chevron pattern we didn’t like and this duvet set from JCPenney is no exception. If yellow isn’t up your alley, it also comes in a funky bright aqua! Why stick with one pattern when you can have two? Stripes AND polka dots surprisingly make a great combination, particularly for spicing up your dorm room bedding. Besides, yellow is all the rage, don’t you know? 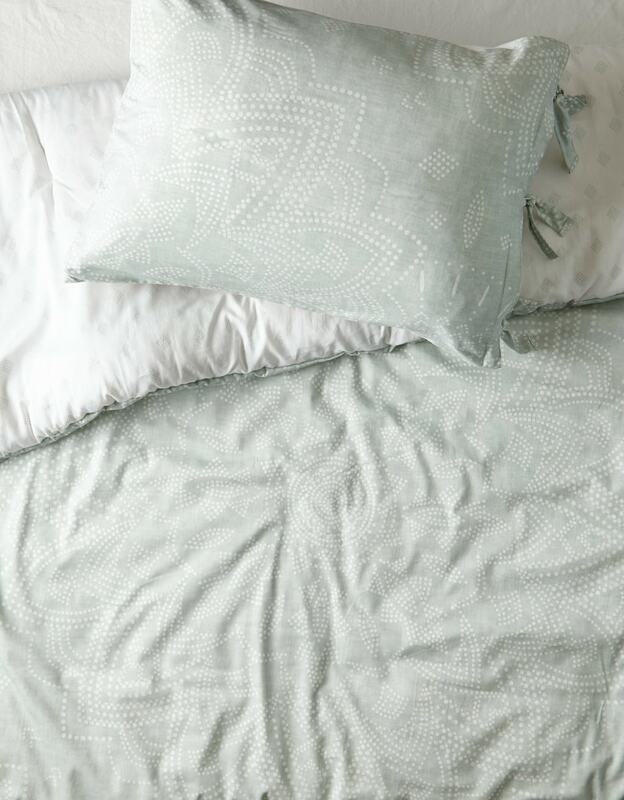 This sea-foam green comforter and sham set from American Eagle is Instagram-worthy. The subtle medallion pattern adds a little sassiness and would go great with basic pillows or tone down your craziest furry throw blanket. 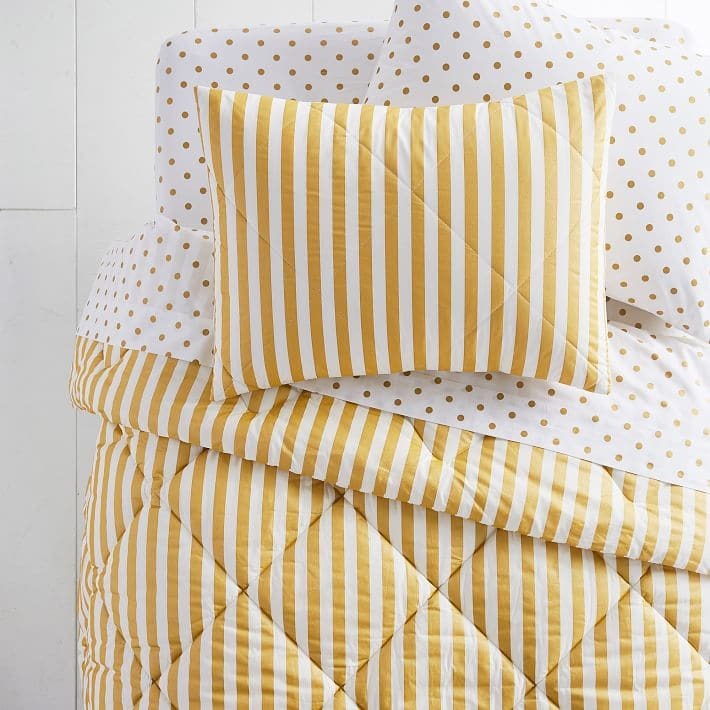 Target, we are in love with this quilt. This blanket has just enough pops of color to be funky and cool without being too loud. We highly suggest adding this one to your dorm room. 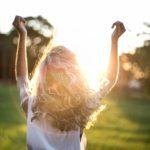 Editor’s note: This post was originally published in 2017; it was completely updated and revamped in 2018 with new photos, products, and information. 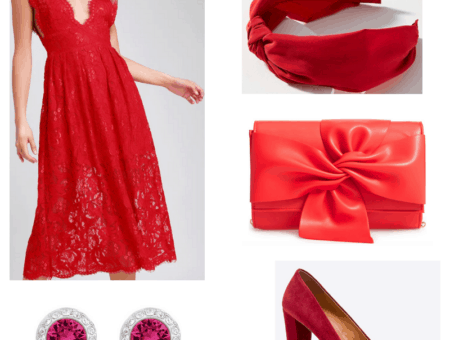 Previous Ask CF: What Are Some Go-to Outfits for Petite Girls?